We keep our pet list as up-to-date as possible. As soon as a pet is adopted, it is removed from the list. If a pet is still showing, it is still available for adoption (although an application may be pending). Please be patient - the list may take a moment to load. 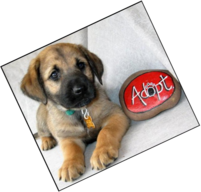 ** An application is required to be considered to adopt any pet. You must be at least 25 years of age to adopt a dog from Joyful Rescues.